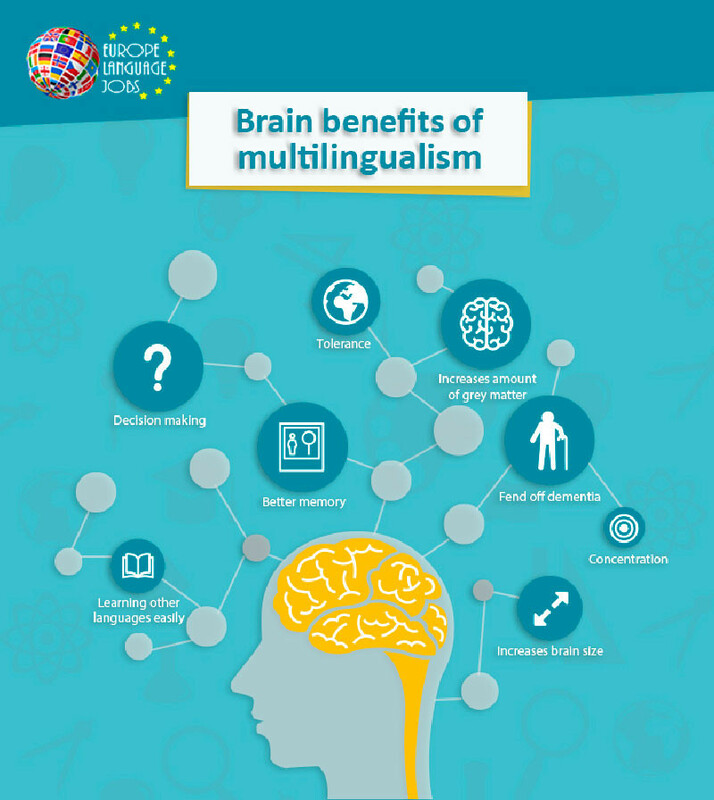 It’s hard to believe that in the past multilingualism was seen almost as a handicap, as people believed that learning a foreign language confused and had detrimental effects on the brain rather than benefitting it. There are the obvious, everyday advantages to speaking a foreign language, such as impressing your friends, turning around a date that´s going badly and one of the strongest senses of pride and achievement that you can have. But being multilingual opens many doors in terms of travelling and working which we will discuss later on. I’m sure you are familiar with the concept of brain training. This is essentially a workout for your brain. You know the apps I mean; the ones with the little icons of the brain lifting weights etc. Well the truth is that, like a muscle, the brain can in fact increase in size after regular stimulation. We all like to think we have a big brain, right? Well why not make it bigger by giving it a regular “workout”. Studies have shown that learning a language is one of the most effective brain workouts that you can do. According to a study carried out in Sweden, mastering a foreign language causes areas of the brain associated with memory, such as the cerebral cortex and hippocampus, to increase in size. It also causes the levels of grey matter (a kind of pithy substance with connects different areas of the brain) to increase as well. It may not sound very nice but Einstein’s head was full of the stuff. True story - when he died they actually cracked his head open to have a look! Studies have shown that there is no age limit when it comes to reaping the benefits of learning a foreign language. Noam Chomsky, American philosopher and linguist, estimated that between the ages of two and four a child may feasibly learn a new word every hour, and on the first exposure to the word! It is hard to imagine (especially as a language learner) hearing a word just once and being able to store and recall it perfectly. This is a mind boggling feat of cognitive capability, and a period that, as adults, we will never relive. But it’s not all doom and gloom! Ok, we may be way past this optimum age for vocabulary retention, but the brain will respond positively to the stimulation of language learning no matter what age it is. The words may not stay with us as easily, but rest assured that simply the act and exercise of memorising them is doing you good. Finally, one of the most newly discovered effects that learning a second language has on the brain is possibly the most impressive. Many people fear degenerative brain diseases in later life; well in recent years scientists have discovered that learning a language can fend off Alzheimer’s and other forms of Dementia by up to five years – which is better than any currently prescribed medication can do. - Improves employability: In a world that is becoming more globalised every year, it is important that you have international skills. People are moving between countries more than ever and languages are an essential skill to have if you’re hoping to start a life in a new country. 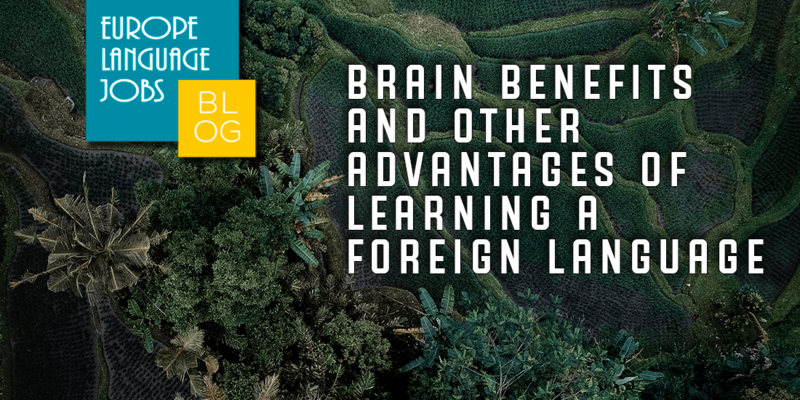 - Easier to learn other languages: This may be an example of a brain benefit, but learning a language is about so much more than cognitive ability. The number one trait you need is confidence. If you can’t get over the initial embarrassment barrier then you will never practise, never be corrected and you will never improve. Learning one language gives you the essential confidence to go on and learn another, knowing that it’s possible. - Earn 8% more than monolinguals: There are financial gains to be enjoyed from learning a second language too. Apparently multilinguals earn an average of 8% more than their monolingual counterparts. 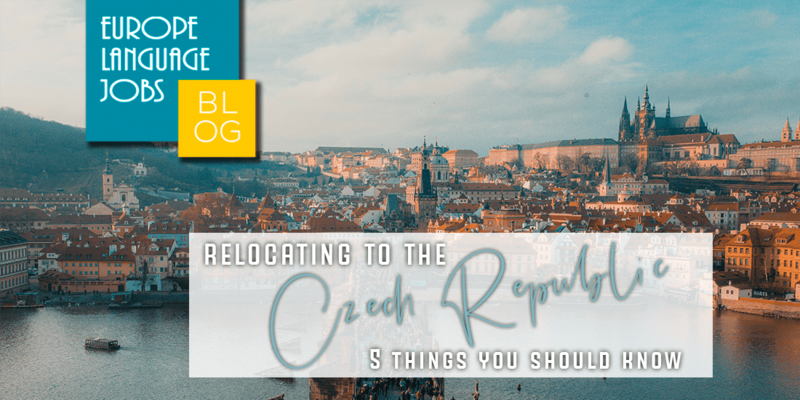 - Increases and enhances travel prospects: By learning a new language you open up a whole new section of the world for you to comfortably explore. Remember, if you only speak English then you can only communicate with 20% of the world’s population. If, for example, you learn another widely spoken language like Spanish or French, you immediately open up a whole other percentage of the world’s population that you can interact with. - More tolerant: People who speak more than one language typically have a more tolerant view of the world and the variety it offers. Multilinguals are more open-minded and accepting of change and other cultures. - Makes you more attractive: According to Babbel 71% or Americans and 64% of Brits say that speaking a second language makes someone more attractive. I imagine that the majority of those that said otherwise were bilingual and therefore were less impressed by other polyglots... just a theory. Need more convincing? Well, learning a language has never been easier. The abundance of free online language learning tools is so varied and in-depth that you are running out of excuses to be a monolingual in this day and age. Who wouldn’t want to increase their attractiveness, employability, tolerance, memory, brain health, cultural awareness and cognitive functions? It's amazing how many benefits one receives from learning new languages! So true! Very interesting perspective. Thank you! It's really really amazing to learn other languages interesting. It's really amazing that I can speak English, French and Chinese at the same time. Amazing and Useful to go places! This is very interesting! I myself can speak 3 languages which are Germany, English and Persian. I agree ! Learning a new language also increases understanding of the culture and people's perspectives. I enjoy speaking 4 languages and learning one more. Love it! it is interesting, I love learning new languages especially that I can easily get the accent. 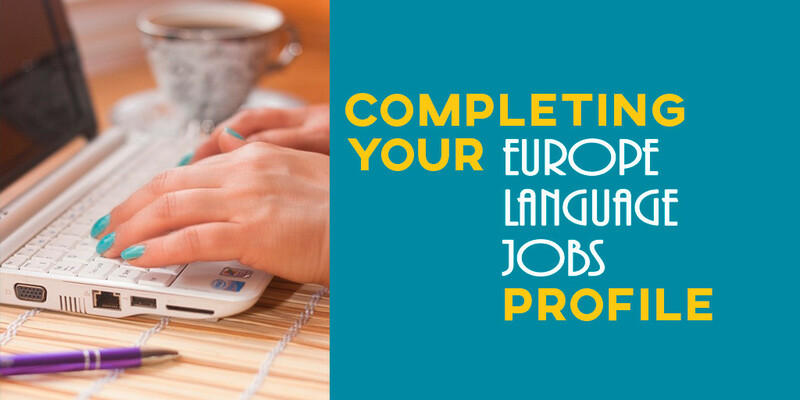 Having a top quality and complete profile is an essential part of the job search. Recruiters and employers need as much information as possible.